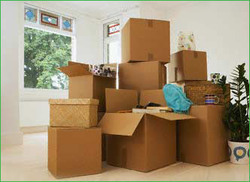 Preparing for the move may seem like an impossible task at first. But if you stick to some basic rules and guidelines you will find this process a lot more fun and less daunting then it first seemed. Starting early, planing and organising are the key elements of making your move as painless as possible. Planing and organising go hand in hand so start as early as possible. The sooner you start the more organised you will be. Just don’t pack any essentials too soon. To start you of draw floor plans of your new home. Organise where and how you will arrange all your stuff. This will help you pack items for specific rooms. Why not assign a color code for each room? You will need the tape anyway for reinforcing boxes so pickup different color tape at your local stationery store. That way the tape can serve number of purposes; reinforce the boxes; organise your boxes; and help them get to preassigned rooms rather then be stacked in the living room by the movers. As for the boxes themselves you have variety of sizes and generally two constructs; single or double walled. Boxes can be the same size but not the same strength. The stronger the better – as it is easier for moving and stacking. For this very reason double walled boxes are recommended for their superior strength and rigidity. This protects your belongings much better. Also do not place heavy objects in the largest boxes this will make them awkward and too heavy to lift. Check the strength and size of the boxes you will be using if the moving company your are using is providing them. There is no reason to buy new boxes if your moving company of your choice provides good second hand boxes for your convenience. If you have organised the removal company to pack your belongings ensure that you explain exactly what you want to be packed and where they are to be laid out. This will save you time and effort organising in your new home. Moving home is a great opportunity to de-clutter. Get your stuff organised by type – that way you can take a look at the types of items you have later; keep the goodies and donate, sell, or recycle what you don’t need. Charity shops will be so grateful for any donations. You could even sell stuff online and make some money while your at it. If you are moving large items of furniture e.g. beds, tables cabinets you can either request or buy furniture blankets and rubber bands that are recommended to be used with them. They are a good way to prevent scratches and chipping. Also don’t forget to empty any of your belongings to make these items lighter. This will safe movers time and you money. If you are moving large electrical appliances e.g. fridge, washing machine, oven, TV, etc – at the very least tape any loose cables or pipes so they don’t get in the way while being carried through narrow spaces. Moving can be a real drag for kids and adults alike but there are a few things you can do to make this process a lot more fun. This will help keep them entertained and reduce some of the children related stress. Why not come with a list of hopes and dreams for the new home? This is an excellent way so that everyone is excited to start their new life. Why not pack up some surprises inside of your boxes so that when your unpacking it makes it more fun and rewarding for the kids.